Christopher Allen Darden, Esq. is an accomplished New York Times Best Selling Author, frequent TV Show personality, actor, sought after public speaker and world-renowned Los Angeles based criminal defense attorney. His first book In Contempt spent 14 weeks as #1 on the New York Times Best Seller List. 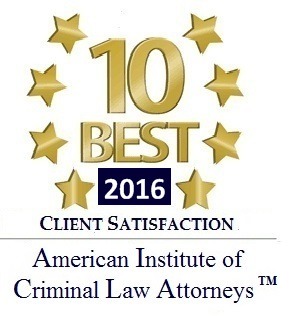 Admitted to practice law 36 years ago, he currently provides each of his clients with a unique skill set on criminal and civil matters. Mr. Darden is a graduate of San Jose State University, having earned his B.S. in Criminal Justice in 1977. Three years later, Darden obtained his Juris Doctor from The University of California, Hastings College of Law. He then pursued his passion as a professor and taught undergraduate criminal law at California State University and was later appointed Associate Professor of Law at Southwestern University School of Law. Mr. Darden has appeared on Oprah, Dr. Oz, Today with Megyn Kelly, CNN, Fox News Network and CourtTV. Additionally, he is a frequent legal commentator on CNBC, CNN and NBC. Christopher has made guest appearances on The Tonight Show with Jay Leno and The Howard Stern Show. Mr. Darden currently owns and operates Darden Law Group, after a successful 16-year career as a Special Prosecutor in the Los Angeles County District Attorney’s Office. Recently, Mr. Darden has teamed up and joined forces with Exoneree, Marty Tankleff and Metcalf & Metcalf, P.C., a Manhattan based law firm. The team focus on potential wrongful conviction cases in both New York and California.